Rev. Paul Muyimbwa was born in Mukono, Uganda, on January 28, 1973. After attending National Seminary in Ggaba, Kampala (Ggaba is a section of the city of Kampala in central Uganda. Ggaba is located on the northern shores of Lake Victoria), he was ordained to the Priesthood on July, 15, 2000. 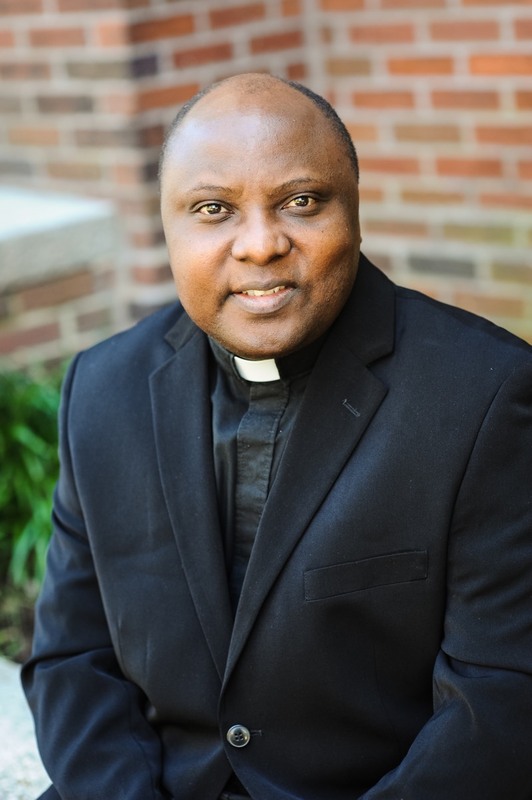 Father Muyimbwa has served in parishes in the Diocese of Lugazi (Lugazi is a town in the Central Region of Uganda); as Administrative Assistant to the Bishop of the Diocese of Lugazi; as Parochial Vicar in the Archdiocese of Boston; as parish priest in Lugazi Cathedral Parish and as Diocesan Treasurer General in the Diocese of Lugazi. He was also assigned as Parochial Vicar of Saint Vincent de Paul in Newport News, Saint Joseph in Hampton and Saint Mary Star of the Sea at Fort Monroe. After that he was then assigned to Holy Family Parish in Tazewell, Virginia. Fr. Paul is now our Parish priest and has been since August 2016.